Sky-Vue Lodge is a 1930's tourist court on US 71. This famous lodge sits on top of the Boston Mountains in the Arkansas Ozarks. 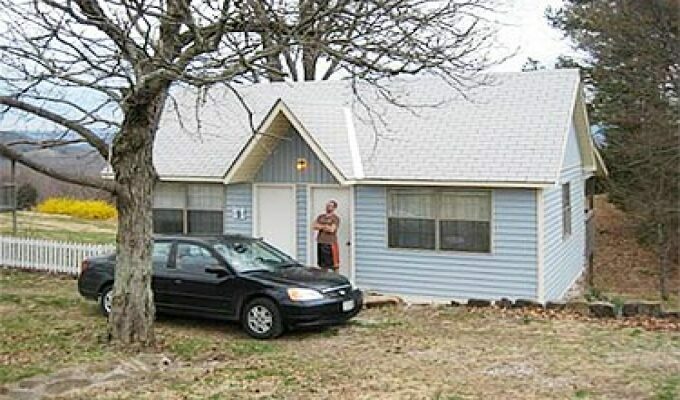 All of the cabins, cottages, and lodge rooms have been updated with modern amenities including AC, Wifi, and Cable TV. The views are fantastic and the country breakfast each morning is one of the highlights of any stay. Family friendly rates and near two state parks.